I was at work when this boy was born. Talking to my daughter on the phone I asked "how's his fleece look". She replied, "It looks ridiculous!" When I saw for myself I agreed, and whimsically A Paca Fun's Ridiculous was named. 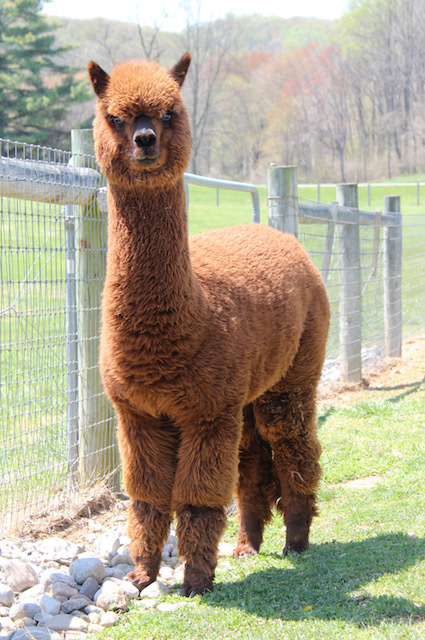 Ridiculous is the product of 8x color champion A Paca Fun's Silver Sensation and the get of Patagonia's Lennox. He is a pale silver gray who's fleece shows uniformity, well organized crimp, fine handle and......ridiculous density. He competed well in the ring, against one of the toughest line ups of gray males we have ever seen, and recently demonstrated his longevity by taking Reserve Champions (fleece) at 5 years of age against the current heavy hitters! Update: Ridiculous cria's are following in their sires foot steps and competing very well in the show ring! 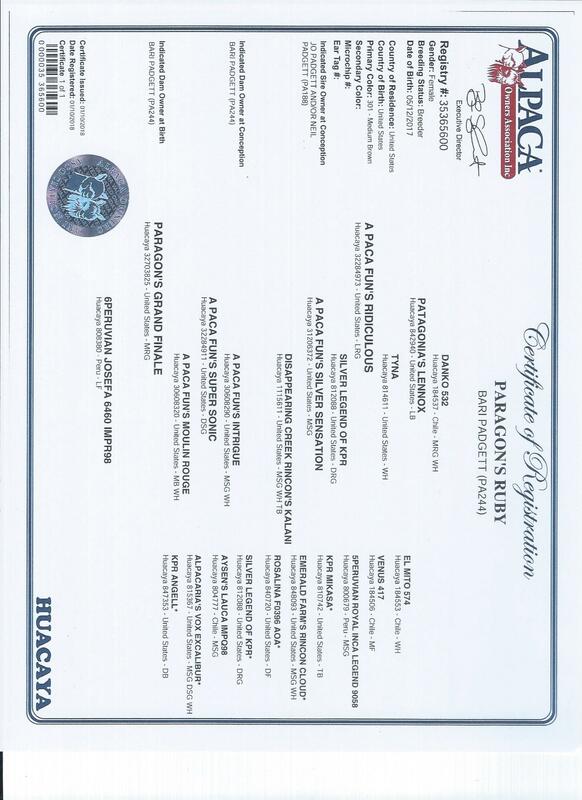 Paragon's Silver Centar won Color Champion at NAAS 2018 at 4 yrs of age, and 4-Sights Fabulicious was both the AOA National and Futurity Color Champion 2018! This girl has solid genetics behind her. We believe if paired with the proper sire she may be capable of producing offspring that could be a great addition to any gray program.